The Knowle West Health Park Charitable Company has been running the Healthy Living Centre since 2002. Our aim is to improve health and wellbeing for the residents of south Bristol. Everything we do is designed to help people make healthier choices, and live healthier lives. You don’t have to change everything; sometimes small steps can make a big difference. 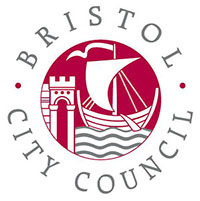 The Knowle West Health Park Company is a Charity, the Board of Directors is primarily made up of local residents of south Bristol and has representatives from local partner groups and Bristol City Council. The organisation continually strives to offer a range of services for everyone in the community. It focuses on key areas of health that are relevant to local people, for example prevention of cancer, coronary heart disease and diabetes, obesity, smoking cessation and mental health problems.